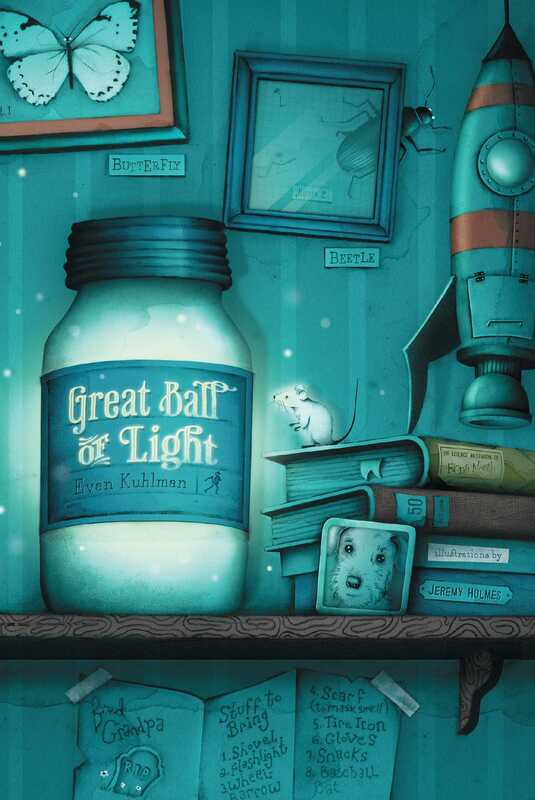 A pulsing ball of light gives two kids the astonishing ability to bring things back to life in this “eerie and hopeful” (Kirkus Reviews) and hugely fun look at what they’ll do to make their family whole again, from the author of The Last Invisible Boy. After a lightning strike, when twin brother and sister Fenton and Fiona find a ball of light in their backyard, things get…weird. Especially when Fenton figures out it can bring things back to life. Everything from bugs, to trees, to their old dog Scruffy, to…well…people. Namely, their grandfather. Because they really do miss him, and more than that, their father and their grandfather have unsettled business to take care of. But be warned: bringing things back from the dead gets a little more complicated when they stick around. Evan Kuhlman is the author of Brother from a Box, the critically acclaimed The Last Invisible Boy, Great Ball of Light, and the highly lauded novel for adults Wolf Boy. He lives in Ohio. Visit him at AuthorEvanKuhlman.Wordpress.com.